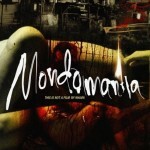 Khavn, writer, musician and filmmaker, talks about his latest movie, his 34th feauture film “Mondomanila” (2012) and its different aspects. The original idea, the message that the movie communicates, the relations with the crew and the impressions of the audience. In the interview we discussed different levels and segments of such multi-creativity: such as making of one-day flicks, the process of writing novels and the role that music plays in his various works. Also, how the everyday reality of Manila, along with its cult independent and underground cinema scene influenced his style.